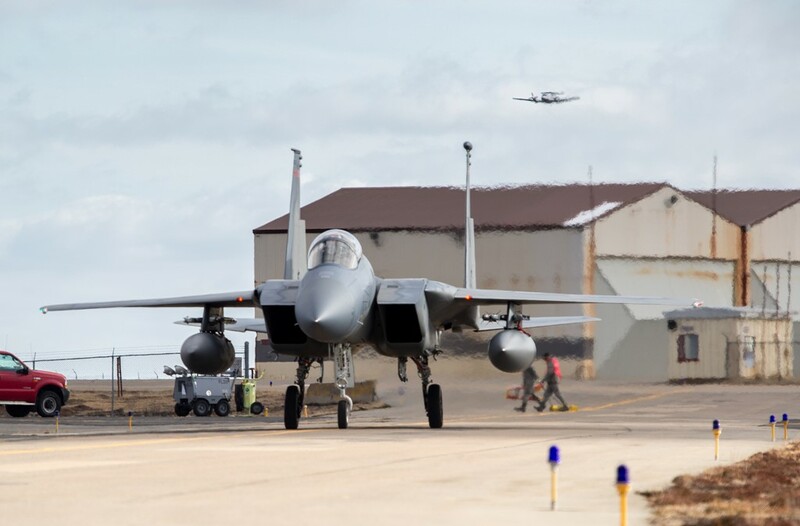 The ANG F-15 Eagles have the task to safeguard NATO skies. 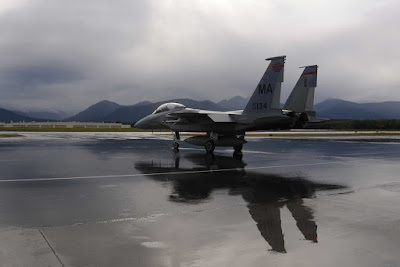 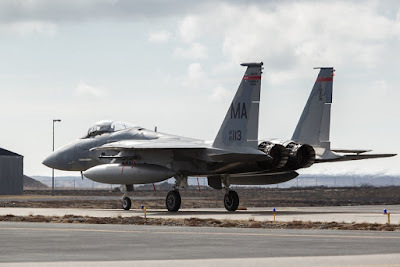 Six United States Air Force F-15Cs deployed to Keflavik Air Base, Iceland, as part of the final rotation of NATO intercept capabilities for Iceland in 2017. 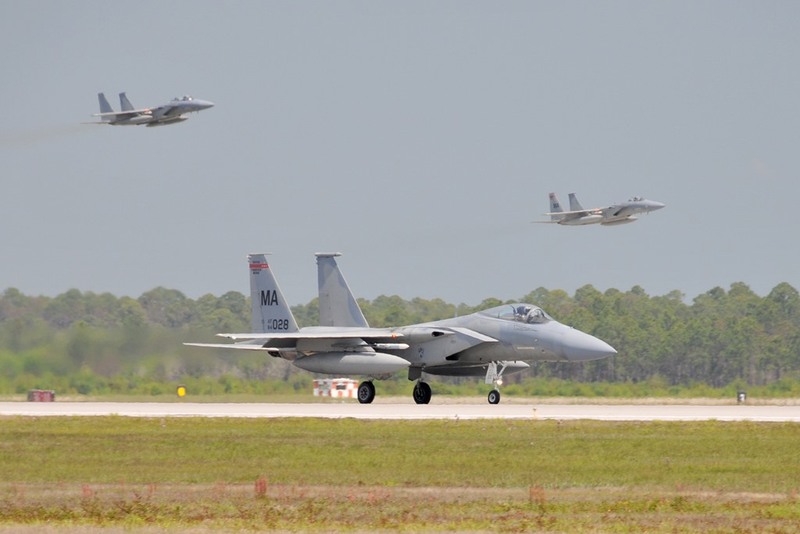 Until the end of September 2017, the six fighter aircraft from the Louisiana and Florida Air National Guard and approximately 280 Airmen and support equipment from the 125th Fighter Wing, Jacksonville Air National Guard Base, Fla. will be deployed to Keflavik Air Base to provide interceptor jets for NATO’s mission safeguarding Icelandic airspace. 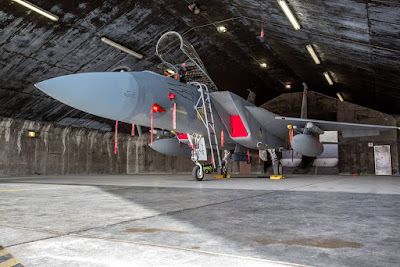 Upon arrival, the jets will be certified by Combined Air Operations Centre Uedem for Quick Reaction Alert (Intercept) duties and transferred to NATO to fly missions providing intercept capabilities that integrate with the Icelandic Air Surveillance posture. While deployed, the Airmen will also conduct aerial training, including aerial refueling with one USAF KC-135 and one KC-10 aircraft and air-maritime training with Icelandic Coast Guard vessels. 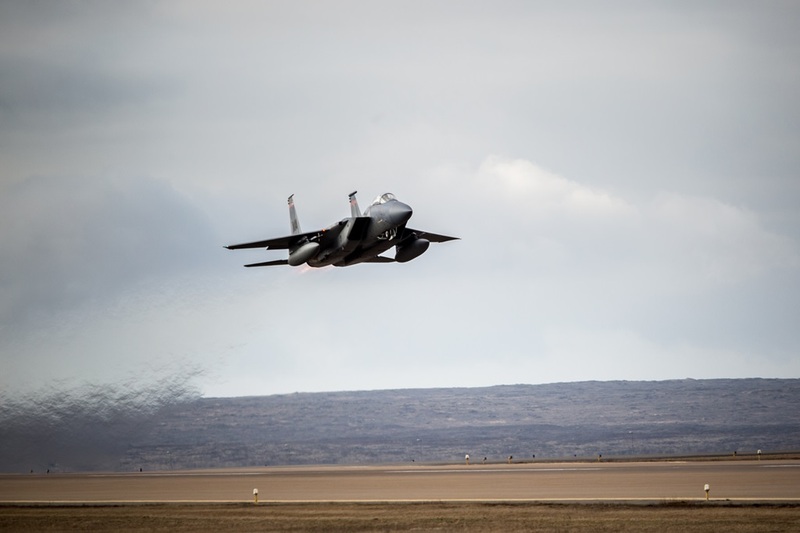 Since NATO’s mission in Iceland started in 2008, USAF has conducted one deployment per year. 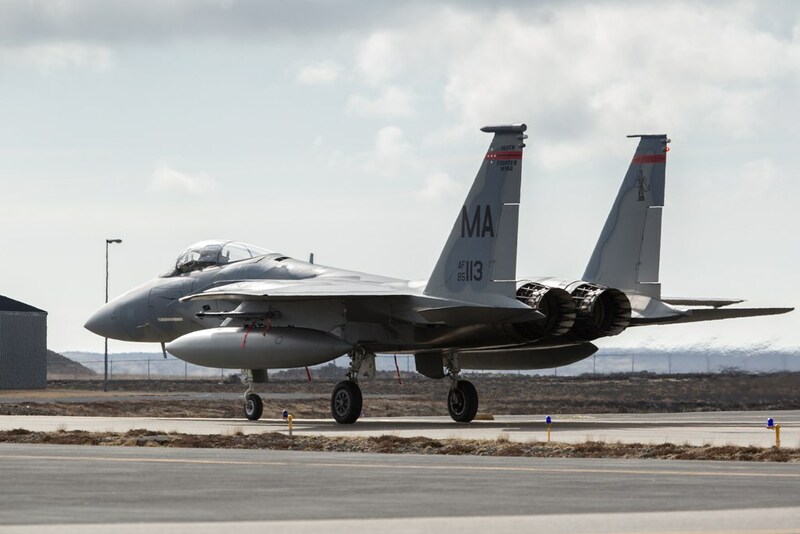 This year marks the tenth deployment to Iceland demonstrating United States commitment to NATO and to Iceland. This year, Italian Eurofighters (More details here) and Canadian Hornets (More details here) were deployed to Iceland in March and April, as well as May and June, respectively. 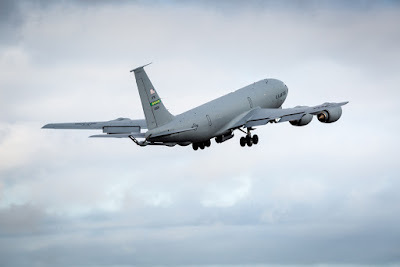 The long-planned, routine, peacetime mission contributes to NATO collective defence; it showcases assurance of Allies that NATO is resolved to provide security to its members.